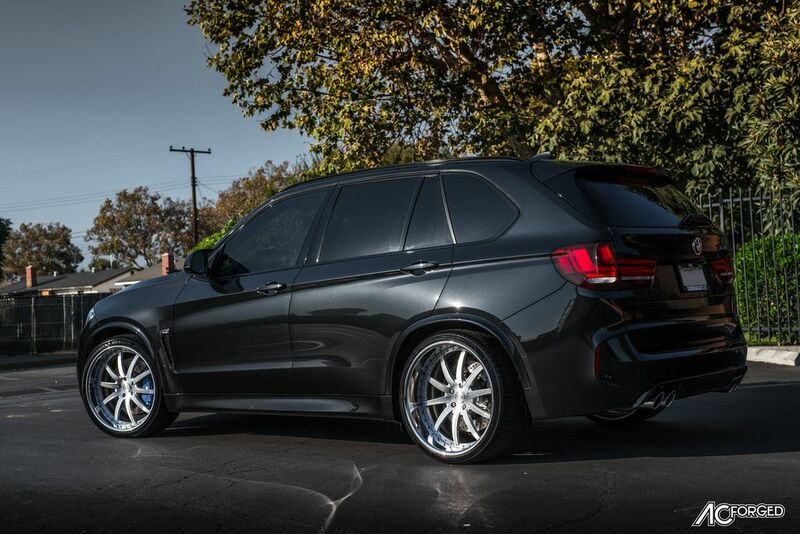 For this Lowered 2017 BMW X5M our customer wanted a new set of BMW Wheels, but a Deep dish wheel and the only way to maximize The lip is to go with a 3 Piece Forged wheel. With the best Quality control and Made in California we went with 22″ AC Forged AC 320 in the classic Brush Silver Face, Chrome lip finish. Wheel and tire set up is 22×10.5 & 22×12 wrapped with 295-30-22 & 335-25-22 Tires with no rubbing issues. 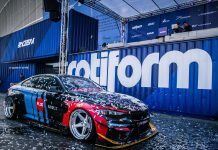 This X5 M combines several small modifications for 2017. An iDrive infotainment system inbuilt in this vehicle was upgraded to operate iDrive 5.0 application of BMW’s, and the touchscreen capability was added to key infotainment display. The merino leather that covers the surfaces of seat now can additionally grace the trimmings of dashboard. The accessible executive package consists of wireless charging device for the capable phones, Wi-Fi hotspot, and superior Bluetooth and USB connectivity. Also, you can have the capability to make a custom external paint color though choosing this particular option. 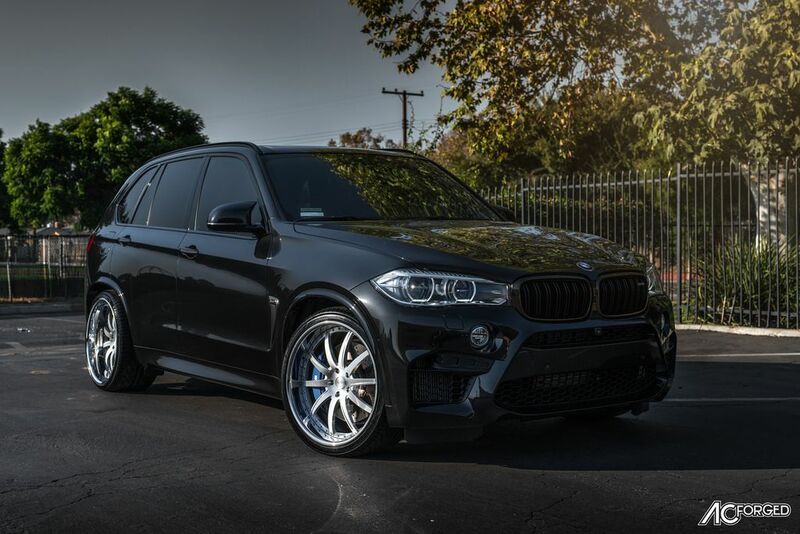 There are not many options for the X5 M buyers. Each and every model is enhanced with the similar brutish V-8, 8-speed automated transmission, all-wheel drive, and almost full set of luxurious interior fittings. 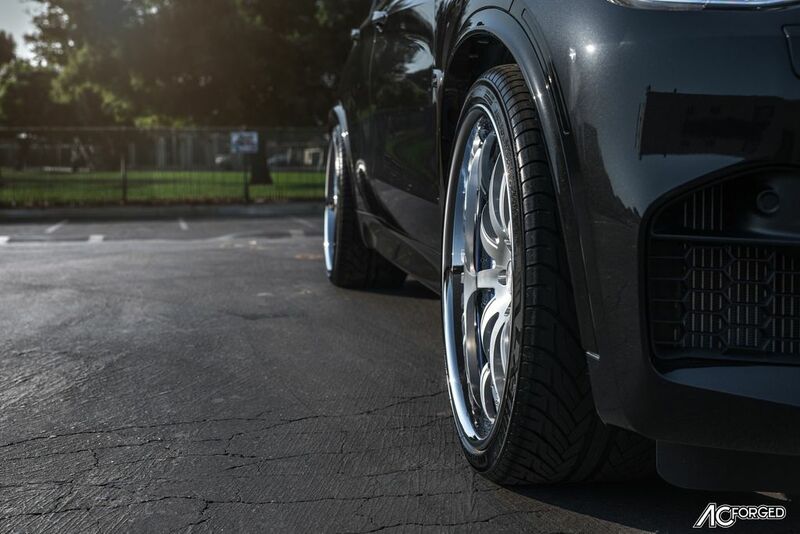 This auto is lowered on 22-inches AC Forged AC-320 wheels offering the ever-best support and performance to the car. You don’t need to worry about its durability or anything, just enjoy your journey.